Etsuko Furuya for Echino Gothic. 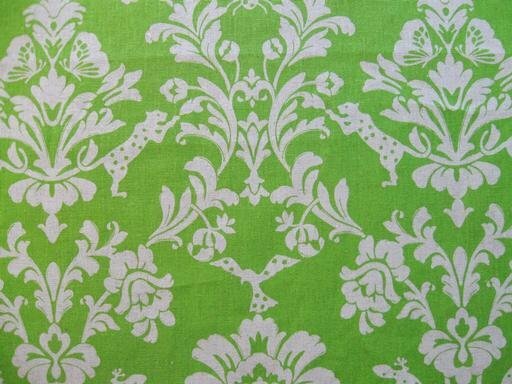 Natural colored damask with animals on a lime background. JG-99500 501 C25. Fabric Details 45% Cotton/55% Linen, 44/45" wide. Lightweight Canvas.